What kid doesn't love crafting and decorating, especially if we are talking about Christmas! As that magical holiday time approaches, every casual activity can become just a little bit better. 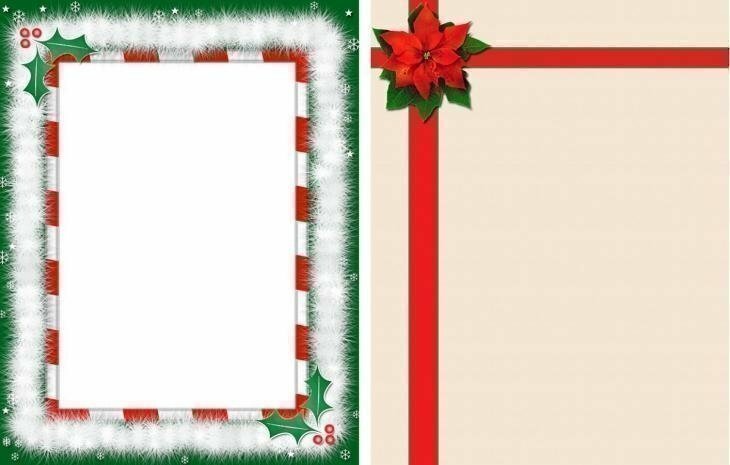 Get ready for the holidays with some Christmas stationery - these picture frames and borders are versatile, perfect for a drawing project or as a background for background for a wish list, an invitation or a greeting card. Check out the examples below and pick out your favourite festive page borders and writing paper that will definitely brighten up your mood this holiday season. 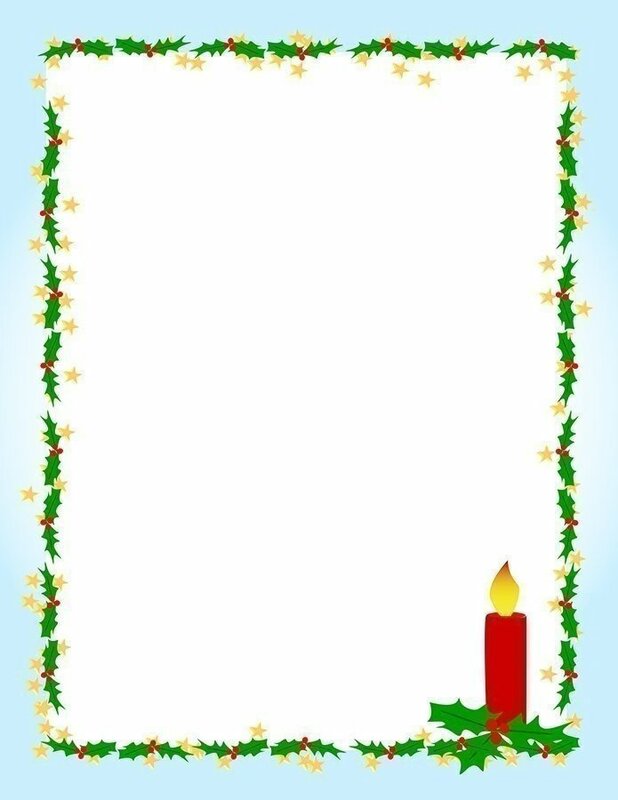 Those elegant and exquisite Christmas page borders will enhance every single letter you write! 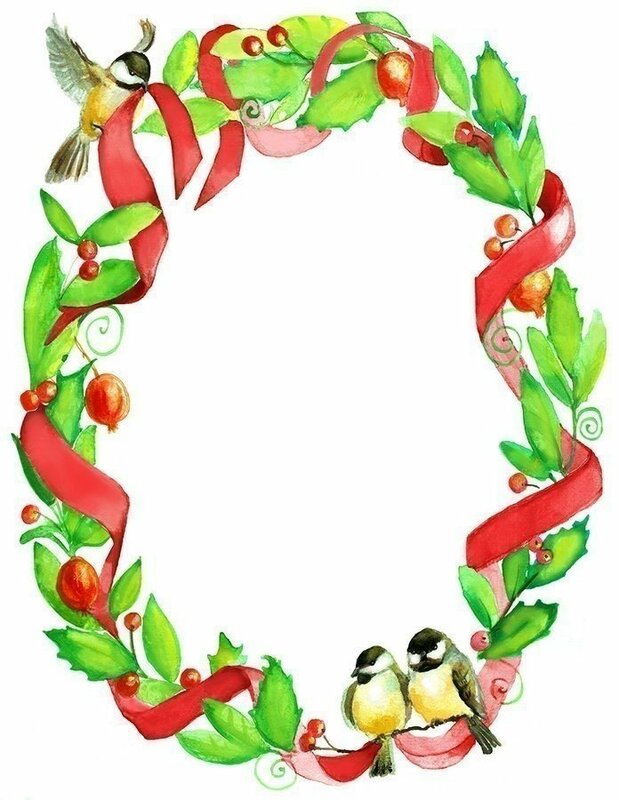 It can also make a great frame for a family photo or a Christmas-themed drawing – let your imagination thrive with the help of the festive design. The stylish picture frames might just inspire you and your kids to do lots of fun holiday-related art this Christmas season. Browse through the links together with your kids for the best Christmas picture frames you can find online. Each template is available for free download – print them out and let your creativity run wild! 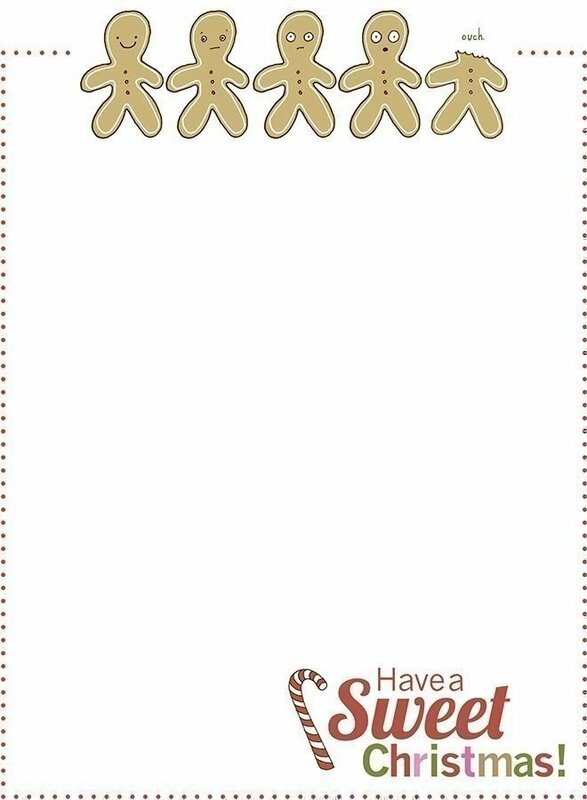 Check out this fun Christmas stationery that will make playtime ridiculously fun! Your kids will have a blast writing and decorating their holiday letters for friends, relatives or classmates – and the giftees are guaranteed to enjoy the end result! The bright and lively design is going to cheer your kids up and encourage their creativity. Check out the link above and choose your favorite Christmas frames together with your children. We've gathered a set of cute Christmas-themed borders with each page designed in its own unique holiday-themed style. These will work great as part of a Christmas craft-project or separately as festive stationery. Don’t hesitate to try your ideas out on any of them – you can always print as many copies as you need for figuring out how your perfect letters, pictures or invitations should look. Your kids will definitely enjoy the traditional Christmas colors and holiday themes and the stylish design will make everyday drawing and writing a bit more fun. Staying in and playing is the way to go on cold winter evenings! 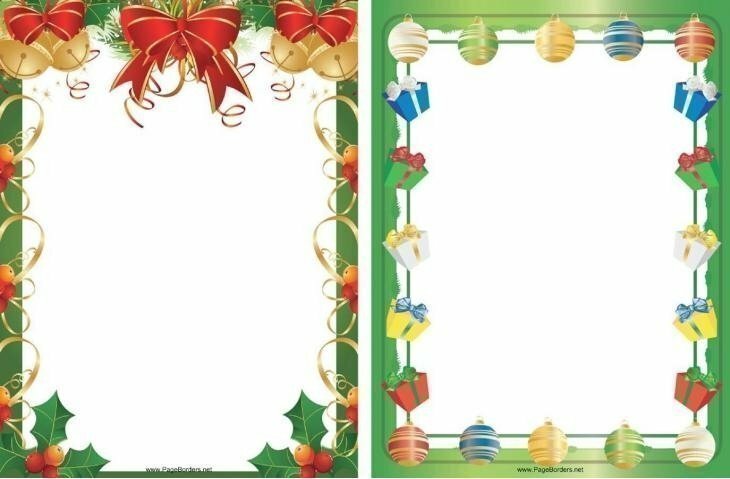 These page borders are going to be a success with the kids - they are going to absolutely love the Christmas stationery made especially for the holidays. The simple and chic design brings that special holiday spirit that we all love and wait for. Browse through the link above and pick out your favorites - get your kids fully set for making some holiday art! These Christmas picture frames are a classic – check out those good old Christmas colors and holiday-themed decor! These are perfect as a background for a Christmas invitation, a family picture or a greeting card to send to your family.